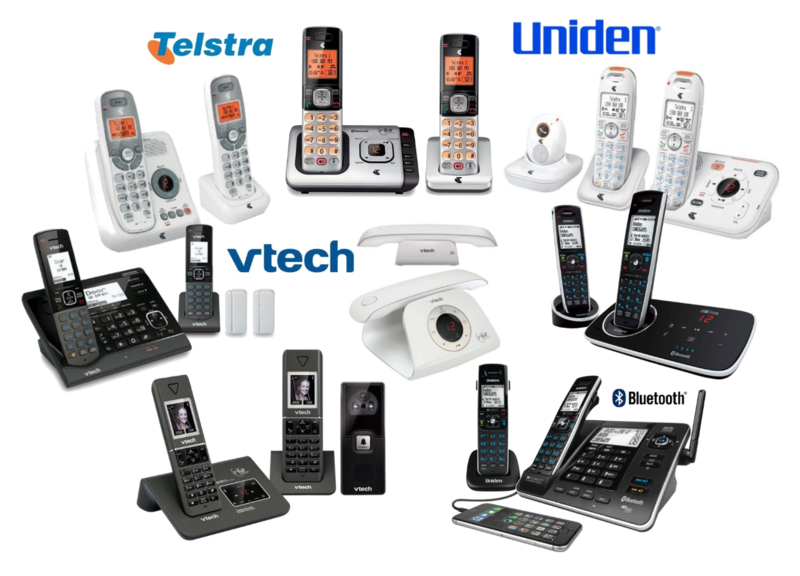 Introducing the new benchmark in Sight and Sound Enhanced Corded and Cordless Digital Phone Systems. The SS E45 is equipped with an Integrated Digital Answering Machine with Slow Playback, ensuring you never miss that important call. The XDECT Digital Cordless Phones offer Extended Digital Coverage by utilising a Diversity Antenna System for Optimal Reception and Clarity – by mitigating multi-path errors. It also features a High Gain Antenna for greater range and to eliminate drop our areas in your home. The SSE45 is equipped with Text to Speech (TTS) Technologyâ€ . 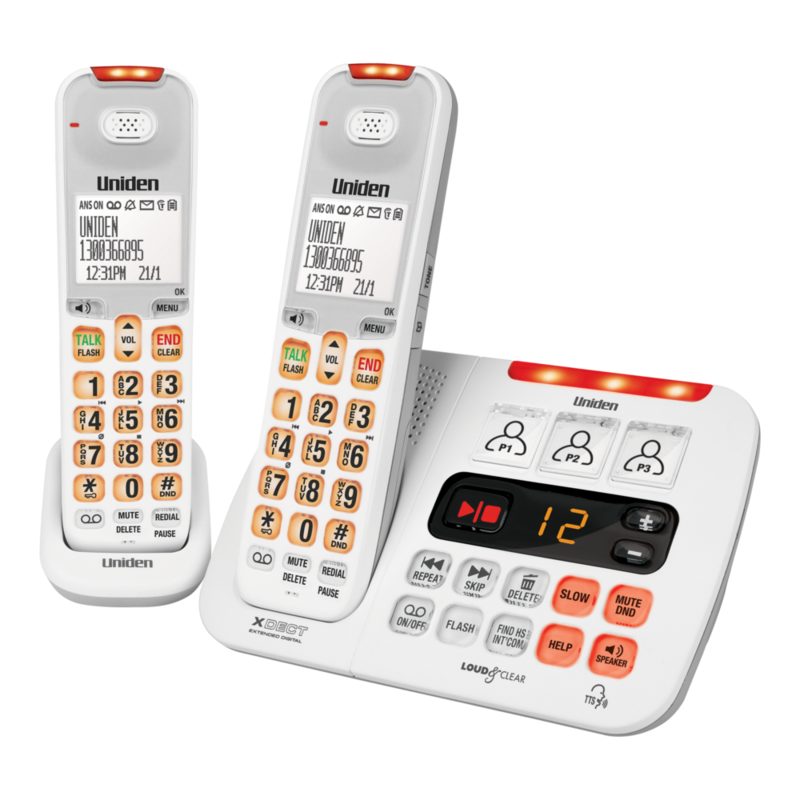 The Extra Loud 50dB volume ringer & Large Screen Buttons are ideal for Hearing Loss / Elderly people, Visual Problems / Low Vision, Noisy homes or workplaces. This new SSE Series increases extra loud volume to 50dB, suitable for a noisy environment such as warehouse. The 3 Picture keys with speed dial makes it easy to recognise important contacts. This system is also suited to Quiet “Do Not Disturb” Areas (e.g. Nursing Homes) – use the Visual Incoming Call Indicator. The Do Not Disturb Function allows you to mute the ringer and is ideal for those times that you don’t want to be disturbed. The “Slow Talk Mode” function slows down the audio, making it easier to understand faster talkers. This new SSE Series has improved features compatible with an Optional Splashproof / Alert Pendant which can be added. The SSE P2 is perfect for Peace of Mind by allowing your call for help to be answered by a person of your choice. Medical Note: If you have a personal medical device such as a pacemaker or hearing aid, please consult with the manufacturer of this device to determine if it is adequately shielded from external RF (radio frequency) energy. This telephone product operates in the frequency in the frequency range of 1.88 GHz to 1.90 GHz and has a maximum output power level of 0.25watts. 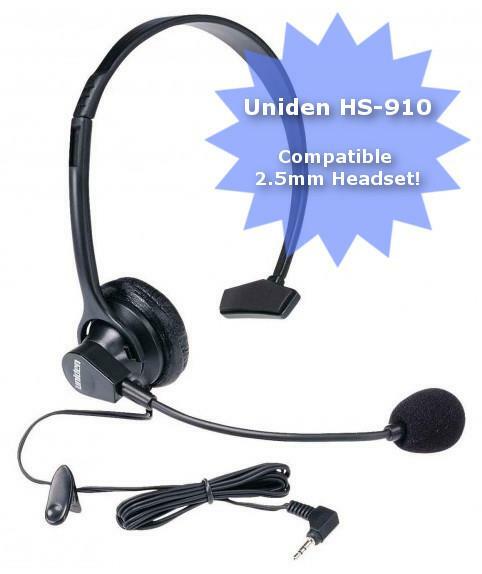 â€ This Handset features TTS (Text To Speech) technology – has the ability to read and announce the name of the caller* The base can also announce the number when you dial.